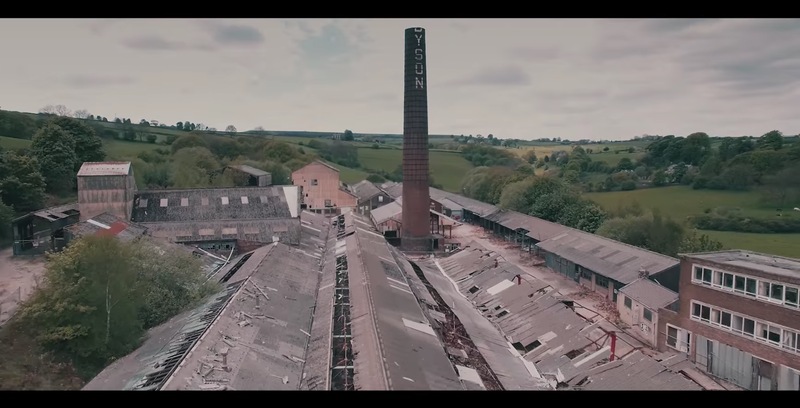 Did anyone used to work at the old abandoned DYSON Factory in Sheffield? Do you recognise any of this? Is this the Dyson Refractories premises at Stannington? I worked for Watson Sons & Wheatcroft Chartered Accountants, auditors to Dyson Refractories from 1976 to 1978, and I worked on the Dyson's audit at Stannington for two or three weeks in the summer of '76, and again in '77. Only have vague memories of the premises. It was a b*gger to get to on the bus. I remember they gave us a nice office with huge windows and spectacular views down the valley towards Loxley. I remember us using the staff canteen at lunchtime, (the highlight of my day as a 16/17 year old). All the big Sheffield companies we went out on audit to, had staff canteens in those days - all subsidised. I remember a tea lady came around mid-morning and mid-afternoon, serving tea from a huge stainless steel earn on a trolley. But the thing I remember best about Dyson's, was our comptometer operator, (Beryl), taking a half-day holiday one Friday afternoon to go home and watch Virginia Wade play in the Wimbledon Ladies Final. So that was July 1977. I'm sure that the company offices were quite a bit larger than just the small section that you can see in the top photo above, but I never got to walk around the factory buildings. My father worked in the Dyson clay pits during the 1950's and I have very fond memories of attending the Christmas parties for employee's children. These parties were held in the works canteen. This must have been relocated at some time because it was located directly across the service road from the 3 storey office block shown on the extreme right of the photo. I remember that we were all made to troop out of the canteen and stare across the road at Father Christmas and his sleigh which appeared, as if by magic, when a spotlight was shone on the roof. A few minutes later he appeared from behind the stage and gave out presents. It would appear that the workshops were extended over the site of the canteen. The best parts of the night were the "chara" journeys from Malin Bridge around all the Loxley, Bradfield and Stannington villages to collect all the children and the journey back again, sometimes in the snow. When our companies Malaysia agent visited us the other place in Sheffield he visited was Dyson's. His main business was sale of foundry equipment and supplies. He told me that he could get cheaper supplies from India but the quality was dubious so he would not supply it to his customers.